Mgvimevi Monastery church, near the city of Chiatura in the Imereti region of Georgia. Over the last century, the Orthodox Christian population around the world has more than doubled and now stands at nearly 260 million. In Russia alone, it has surpassed 100 million, a sharp resurgence after the fall of the Soviet Union. 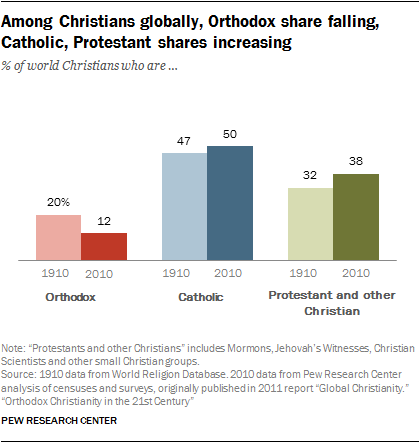 Yet despite these increases in absolute numbers, Orthodox Christians have been declining as a share of the overall Christian population – and the global population – due to far faster growth among Protestants, Catholics and non-Christians. 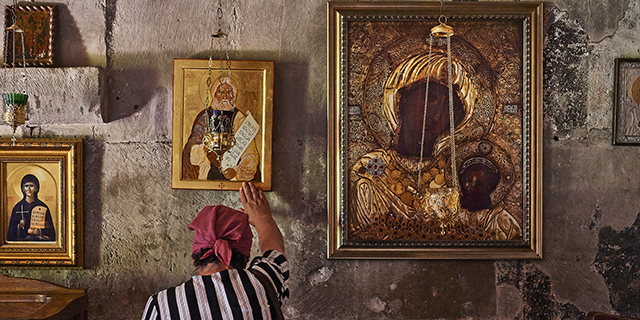 Today, just 12% of Christians around the world are Orthodox, compared with an estimated 20% a century ago. And 4% of the total global population is Orthodox, compared with an estimated 7% in 1910.